It never ends. Fans want to know what Samsung is doing with the Galaxy S5, and so does the media. Along with the stories we’ve published here at Galaxy5us.com, we’ve offered up tidbits and rumors flying across the intrawebs, and this post will be no different. New rumors are flying but this time there appears to be a bit of information to prove them. Let’s get on with it, shall we? Probably the biggest rumor of all flying around currently is that Samsung has decided on a metal body for Galaxy S5, instead of the cheaper feeling plastic it has used until now on the Galaxy line of smartphones and tablets, not to mention the Note 3. While there are too many reports of this rumor to determine who started it, we think that the more important issue is the proof behind the rumor. A report written by Android Authority states that Samsung is in the market for metal casings – about 30,000 metal casings to be exact. Since the Galaxy S5 is the next phone up with a release date, one can only assume that Samsung is slating the casings use with the S5. 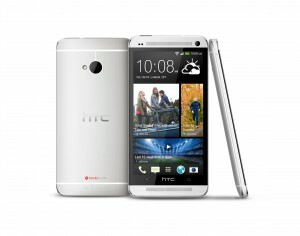 HTC One with Aluminum Body – is this what Galaxy S5 will look like? If the Galaxy S5 were to receive a metal body, users would see a number of awesome advantages that smartphones like the HTC One and iPhone offer its users. For instance, if you were to drop the phone with a metal body, it certainly won’t crack like it would with a plastic body. Unfortunately, though, metal scratches much easier, but the tradeoff would be worth it for not having to replace your phone each time you dropped it. Another advantage of the metal body is the way it feels in the hand. Plastic does certainly make a phone lighter, and with the bigger phones that get real heavy because of the display size this is a huge advantage, the light plastic makes it feel so flimsy that it just seems cheap. Cheap as is, “what did I spend $500 for?” cheap. In any case, we welcome the change and think it would be for the better all around. The next newest rumor is that Samsung will offer the ISOCELL image sensor on the S5. What is the ISOCELL image sensor? Well, it’s a technology that handles CMOS device pixels, and to date, it’s apparently being installed to enhance the imaging quality of the Galaxy S5. ISOCELL apparently helps the device software to auto correct and regulate light sensitivity, which Samsung states will help improve overall image quality and offer better color quality when lighting is an issue during photo and video shooting. Galaxy S5 with images that are even more awesome, here we come!